Sanju begins with a picturesque view of Mumbai city and within no time you're introduced to the hero of the film - Sanjay Dutt's character played by Ranbir Kapoor. 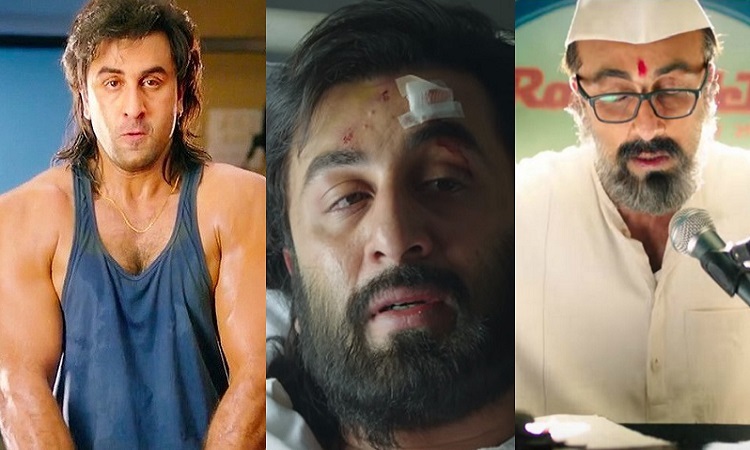 The mirror work that Ranbir has brought to the screens by enacting Sanju Baba in each scene makes you realize that you're in for some amazing story of Bollywood's most controversial superstar Sanjay Dutt. The film rolls with Ranbir aka Sanjay seeking for a good writer who could tell his real story to the world before he surrenders in a month. Enters his wife Manyata Dutt (Dia Mirza) who hands him a card of the worlds 'top biographer' named Winnie (Anushka Sharma). An anxious Sanju who before going to Jail needs his story to be told seeks Winnie and convinces her to write his autobiography but with many obstacles to follow. What comes next is a sheer journey of a real-life story with loads of entertainment and heart-warming moments. The first 60 minutes of this biographical drama is dedicated to the relation Dutt shared with his father Sunil Dutt (Paresh Rawal), his bromance with Kamlesh (Vicky Kaushal), Dutt's troubled phase with drugs and the underworld, his girlfriend Ruby (Sonam Kapoor) and his soul-stirring moments with mother Nargis (Manisha Koirala). 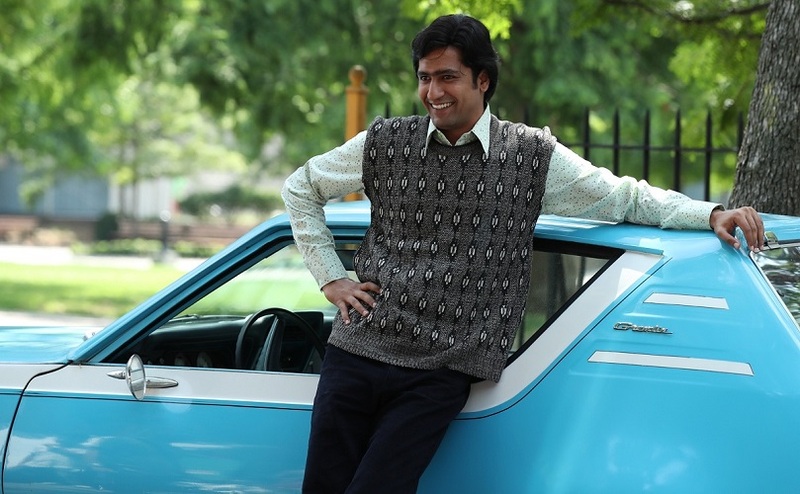 The critical father-son moments that the film has held on to needs all the appreciation while it is Vicky Kaushal who wins your heart in this biopic. Each chapter of Dutt's life that unfolds works phenomenally well in the first half but it's the second half which moves this film into another agenda altogether. The first half hardly shows you any good side of Sanju Baba and upright shows you about his drug addiction and the irresponsible him. There's a scene where his mother Nargis is critical in the hospital room and despite all his efforts to control his drug addiction, he injects himself with a drug needle and lives his last moments with his mother. This clear depiction of his life and many more revelations makes the first half a winner. The second half of the film is all about bashing the Indian media's coverage on the Tada case, 1993 bomb blast with Sanjay's angle. This biopic then focuses more on cleaning his image rather than telling his story. However, there are moments to cherish and light-hearted scenes from Munna Bhai M.B.B.S, Sanju drags itself into purely showing Sanjay Dutt a victim of the media scrutiny. Having said that, Rajkumar Hirani offers you everything that is expected in a cinematic masterpiece. There's emotion, there's entertainment, their perfect casting, there are whistle-worthy dialogues; this movie did serve the right purpose. 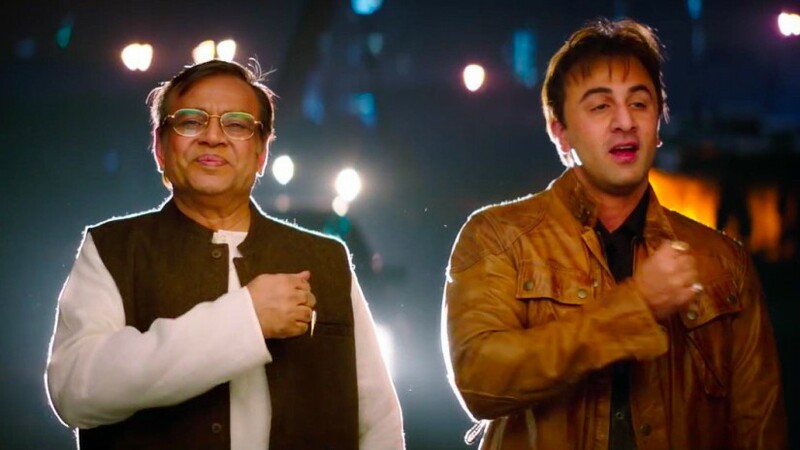 Sanjay Dutt's heart-warming relation with his dad, his emotional and inspirational connect with mother, his best friendship with Kamlesh, his convincing journey with the biographer, his dreadful time with drugs and the underworld are shown brilliantly by Rajkumar Hirani. If you wish to see the controversial love side of Sanjay Dutt, his marriage to Manyata Dutt, his girlfriends and his much-published affairs then this film offers you nothing of that element. Co-writer Abhijat Joshi has done wonders with his words and Rajkumar Hirani has brought you some unknown facts of Sanjay Dutt's life. Lastly, if you haven't seen what a cinematic masterpiece looks then don't miss to watch Sanju.